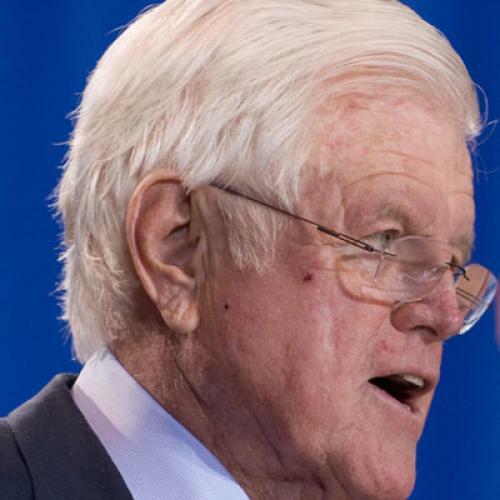 Does It Matter Who Succeeds Ted Kennedy? I know this is kind of a gruesome exercise, but since Sen. Kennedy himself initiated the discussion, I think it's within bounds to think through the political implications of his possible death in the next few months. Simply put, last week's proposal--having the Massachusetts governor appoint a caretaker senator until a special election could be held five months hence--was a tactical mistake. Kennedy’s request did find some support on Beacon Hill yesterday, including from state Senator Robert A. O’Leary, whose district includes Kennedy’s Hyannis Port home. O’Leary said he would be proud to sponsor the change in law. “Given his role in health care, it would be tragic if he wasn’t able to have a vote in that and it took one vote to get it done,’’ O’Leary told State House News Service. But here's the thing: If Kennedy were to pass away in the next few months, the Senate math on any health care vote would almost certainly get easier, not harder. For one thing, it would single-handedly make the magic number 51 votes, not 60, since it would be suicidal for the GOP to filibuster the culmination of the last Kennedy brother's lifelong crusade. Beyond that, I suspect the coverage of Kennedy's death would silence healthcare reform critics and boost proponents in a way that netted at least a couple of wavering moderates--so clearing the 51-vote threshold wouldn't be a problem. Heck, you might even see Utah Republican (and longtime Kennedy friend) Orrin Hatch back in the reformist camp. So all the maneuvering around Kennedy's hypothetical replacement strikes me as unnecessary at best and possibly even counterproductive, since it could only detract from what would otherwise be a powerful (and authentic) emotional outpouring in the event of Kennedy's passing. I understand--and frankly admire--Kennedy's concern about what might happen once he's gone. But it would be better if we could just pretend the Kennedy proposal never happened.